Hey, David Herman, what have you got to say for yourself? You’ve been here since 1966, that’s over 50 years. What have you been doing all that time? We’re just going to celebrate Israel’s 70th anniversary. Did you know that? So what have you been up to all this time. We haven’t heard anything about you. so come on, tell us your Aliya success story. Well, I know you’re from England originally and that’s not exciting like making Aliya from the United States which is much more romantic and newsworthy. Where have you been hiding all these years, Mr. Herman? Come on then, out with it! I resent your insinuations. I have not been hiding at all. I’ve been living happily here in Jerusalem all along. My brother and fellow worshipers will vouch for that. But I had to leave England. You had to leave Great Britain? Why, what crime did you commit? The hideous crime of getting married, shortly after graduating from Cambridge University. Incidentally I was very proud because the young men and women of my alma mater just won the men and women’s Boat Race last month. You came on Aliya because you got married!? Did your wife force you to come? No, nothing like that. We both wanted it. It was something that built up over the years in both our families. But why did you exchange all the tranquil, beautiful and prosperous life in London for the unknown of Israel and Jerusalem? You’re right. It was a bit of a gamble. But you know how it is with young people, they’re hotheaded and tend to make mistakes. But I did have tradition on my side. On my dear Mother’s side I was descended from the famous 16th century scholar, the Rema, Rabbi Moshe Isserles, just like Felix Mendelsohn, and the Chief Rabbi of Cracow and Warsaw, Rabbi Dov Berish Meisels. My beloved parents saw me early on as a famous diplomat and sent me to the Lycee Francais in South Kensington to learn French, and from there I made my way via a scholarship to Selwyn College, Cambridge, where I had the honor of being the first full-Jew student and studied Modern Languages, French and Spanish, and became the Chairman of the Cambridge Israel Society, and the long- burgeoning ideal of Aliya very soon became a reality, particularly after love and marriage entered my young life. And so in 1966, with the blessing of our parents, shortly before the Six Day War we touched down at Ben-Gurion Airport and never looked back. You mean to say, you’ve been here all these years and never once returned to London? I never said that. I said never looked back. In fact I’ve been back a few times just to see family, attend my daughter’s wedding and see what I missed. You know, one can never forget the old country with all its magic memories. After all, I was a Blitz Baby, born 1940, and still remember Queen Elizabeth’s 1953 Coronation the same year as Sir Edmund Hillary and Sherpa Tensing conquered Everest, and that same year I was barmitzvah in Chelsea Synagogue. Why do you speak English with so many grammatical errors? After all you grew up speaking English not Polish or Yiddish, and you went on to study in Cambridge which is almost on a par with Oxford linguistically speaking?. It’s all about being an Oleh and trying to achieve mastery of Modern Hebrew in order to cope with the endless drama of everyday life in Israel. As a new Oleh, a kind of “Oleh Halash as well as Hadash,” if you’ll forgive the wordplay, I set myself the modest goal of conquering the Modern Hebrew language and even spent six delightful months on a kibbutz ulpan at Kibbutz Beerot Yitzhak in my quest. Not only have I dismally failed, but in the process I lost a great deal of my once high-level English, and so I often find myself at a loss for basic English vocabulary and grammar. Maybe that’s what drove me to seek solace in the world of music. But I still cling to my deep appreciation of the language of Shakespeare that I was reared on. In fact, I started my Aliya journey as an English teacher in Boy’s Town and also in the Mechina in the Hebrew University where they didn’t seem to mind or even notice the glaring gaps in my English knowledge. In fact, believe it or not I had the unbelievable gall to found, together with my great partner Rafi Dobrin, an English-teaching newspaper in simplified English for the different grades of the Israeli school system, and believe it or not, English teachers in droves all over Israel eagerly ordered them for their tens of thousands of pupils all over Israel. Rafi and I, and our dear colleague Baruch Berniker z”l even became rivals of the Jerusalem Post newspapers for schools. Our company was called Good Times and teachers still fondly recall our newspapers, English News, Bagrut Times, Just For You, ABC Times, and believe me we had ‘good times’ for almost twenty years until….Until the fall and the tragic loss of all our assets in the early 1990’s, from which alas I have not yet recovered. It forced me to start a new profession as a translator. 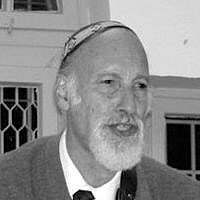 For some reason my Good Times years had given me a reputation as some sort of wizard of the English language and people all over Israel started to flock to me with translation work of all kinds, poetry, academic articles, books, film subtitles. I did not refuse anything. I had to stay alive, didn’t I. Last year for example I had the honor of translating an inspiring work by Rabbi Yosef Mendelevich, the renowned Prisoner of Zion, called “A Hero of Jewish Freedom” published in England by Vallentine –Mitchell. That’s all well and good, but for Heaven’s sakes please come clean and tell us about your music which you keep hinting at. Is it a big secret or something you are ashamed of with your Cambridge academic background? Well, it’s true that I am by nature, like most British Jews, exceedingly modest, and so I rarely flaunt my musical capabilities, except when I appear in public with my guitar, but when I think about it I’ve done a lot of music in the past half century and at the last count I had, take a deep breath, believe it or not over 250 songs on the Youtube, including songs in English, French, Spanish, Hebrew, Ladino, all from my own little head and heart which makes me one of the most prolific Anglo-Israeli singer-songwriters in the Middle East. You can find my songs under the musical name David Ben Reuven. I owe so much to my dear friends, Larry, Les, Lowell, Elchanan. Yaakov who have helped me promote my music. Their belief in my music over the years has inspired me to grow and expand musically even though I can’t read a note of music and know only a few basic guitar chords. Nonetheless, I am proud of the fact that I can offer my fans and non-fans four or five poetry and hit song one-man shows: Sing Jerusalem 3000, It Says So in The Bible, The Spirit of Israel, Just William, Herzl Had a Vision….containing dozens of catchy hit songs and some amazing poetry. In fact, some of my songs have become quite popular over the years. Catchy and meaningful songs like Jerusalem Rock, Hadegel, Popeye Ole LeYisrael, Herzl Had a vision, There was a man Ben-Gurion, My song Yerushalaim Shel Shalom has a wonderful video by Elchanan Berkowitz and I’ve been asked to record it again in an English version. I’m currently working on a very catchy new song which I think will become an international hit. So why don’t you with all your professed musical talent represent Israel in the Eurovision song contest? Well, funny you should mention it. A few years ago I did try, they loved my song but said I was too old. Today at age 78 there’s even less chance. Perhaps when I’m 120, if I’m still around I’ll try again. In any case, this year we have a real chance of winning with the amazing super-talented Netta Barzilay and her song Toy. I’m very proud of her. Well now, it looks as if you’ve done a lot and achieved a lot, so now you can smugly retire into old age, what more could you possibly hope to achieve? Funny you should mention about retiring The truth is that I feel like I’m only just beginning. For example, I want my serio-comic novel The Golden Eggs of Sacramontes to become the world best seller it deserves to be and then to be an Oscar-winning film. In all modesty, it is a masterpiece of humor. It sounds mystifying. What’s it about? It’s about the life and times of an ordinary Englishman named Cedric Bates who all of a sudden, aged 42, becomes the first human being in recorded history to lay real golden eggs. This terrifying event changes his life completely, and when you read this sidesplitting work you’ll see why I consider myself Israel’s Number One English Language Novelist. It’s even funnier than my first novel called Bestseller which I wrote back in the 1980s against the background of the Jerusalem International Book Fair, based on my experiences as a publisher, and as far as I know the only novel ever set against this background. No, not quite, I’ve had my share of sadness and misfortune. Back in 1973, on the last day of the Yom Kippur War, I lost my beloved stepbrother Zalman, who fell to a Syrian bullet on Mount Hermon. He was 37 years old and a leading Israeli economist. My parents adopted him in 1947 in England after he spent the war years hidden in monasteries in Poland. Then, four years ago, an even bigger personal tragedy when I lost my beloved son Lee in December 2014, He was only 39 with a whole world of achievement and happiness before him.. I may also include my divorce in 2002. So you see, my life here in Israel, despite so many achievements has also known sadness and personal grief. Early on you mentioned that you were at Cambridge. Did you continue with academic work after making Aliya. As a matter of fact I almost forgot to mention that I was planning to work for my doctorate at the Hebrew University under the well-known Professor Moshe Lazar. Sadly, I never did finish my doctorate which was based on the life and works of the famous 17th century Marrano poet and playwright Daniel Levi de Barrios (dates) who was the poet laureate of the Marrano community in Amsterdam. However, despite my academic failure, thanks to Professor Lazar (who sadly passed away in 2012), I was able to produce an important book of Ladino and Spanish literature called “The Sephardic Tradition and Spanish Jewish Literature,” published by W.Norton in 1972. And my interest in the Spanish and Sephardic world continues to this day despite my being of Ashkenazi stock. So with all this volume of post Aliya activity what remains of your British heritage? I am a still a fervent Chelsea soccer supporter having lived there many years, and I love the great British sport of cricket. I am still a devoted admirer of Queen Elizabeth II and dare hope that she will at long last visit the Holy Land and see what her loyal ex-subjects of the Jewish persuasion have achieved here. And, of course, I am still a devotee of Shakespeare and Dickens who have inspired me to write poetry and songs and even several novels in English. And of course I follow closely what is happening to Britain and the British people these days. And my favorite food is still fish and chips (kosher of course). And finally I still have retained a bit of the old good old-fashioned British politeness and good manners which I have tried to some extent successfully instill into the younger generation of Israelis. You seem to have accomplished quite a lot in your life in Israel but is there anything of which you are particularly proud? Yes, two things. The first, back in the 1980’s I founded the Jerusalem Rescue Raoul Wallenberg Committee to throw light on the fate of the great Righteous Gentile who saved tens of thousands of Jewish lives during the Holocaust in Hungary and then was abducted by the Russians and disappeared in the KGB prisons Gulag and whose fate is unknown until today. This activity also led me to create a one man show called Beacons in the Dark featuring songs in tribute to the Jews and Righteous Gentiles like Carl Lutz, Chiune Sugihara, Raoul Wallenberg, Rabbi Weissmandl and Recha Sternbuch and others who saved many thousands of Jewish lives during the Holocaust. The second is to have published and created Israel’s great comic book superhero Sabraman, the Israeli superhero with the faith of Abraham, in the late 1970’s.This was when I discovered 15-year of Uri Fink who wrote and illustrated the Sabraman comic book stories. Today Uri is Israel’s number one cartoonist and we both look forward to the day when Sabraman lights up the big screen. And not least to have had the great good fortune to have lived for over 50 years in our Capital Jerusalem in the reborn State of the Jewish People and to have seen and been part of its remarkable progress in the last seven decades emerging from the horrors and despair of the Holocaust, defeating its enemies bent on its destruction, and to where it stands proudly today as a world leader in technology and in many fields of human endeavor. I thank Hashem for enabling me to have participated and witnessed all the miracles and wonders He has wrought for our State and our people. Which is why I issue this call to my Jewish brethren all over the world to follow in my footsteps and to come home. ‘Cos now we’ve got a State to cherish and love. Because the wandering Jews are home again. In our own little State. But it feels just great. Come on home and celebrate. Which we fought so hard to earn. In the Land of Israel miraculously reborn. What are you waitin’ for?! So make Aliya with no regrets. In our Land of Zion and Jerusalem.